There are many styles of humor. It's not only jokes! A form of humor that's growing in popularity is storytelling. Storytelling groups are popping up all over the world, especially in Los Angeles, where actress Annie Korzen lives. Not all stories are funny, but many are. Annie is a master in the art of storytelling, both in telling her own funny personal stories, and also in teaching a course in how to tell stories. 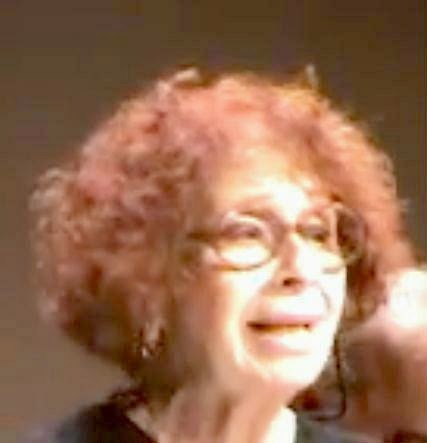 Annie played the role of Doris Klompus on Seinfeld, has appeared on other TV shows and films and is also a regular on the Old Jews Telling Jokes website. Her droll humor has been a feature of many spoken word events. Annie has been presenting her latest story, Fat, Black, and Jewish at various storytelling locations and has received standing ovations. Today we're sharing this story with you. It's about how a chubby black baby got her to change her mind about grandmotherhood. Agreed. Great story and wonderful delivery. Thank you.